True to its name, this trio of dances from Birmingham Royal Ballet (BRB) offers everything from light, fluffy romance to dark, chilling menace. 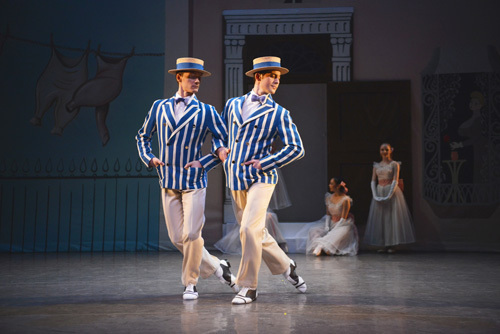 The Darkness and Light performance, featuring early works from late choreographer and former associate director of the Royal Ballet Frederick Ashton, is part of BRB's summer season. Ashton may have died in 1988 but his glorious, exciting works live on and in this case at Birmingham Hippodrome, it's Les Rendezvous, Dante Sonata and Façade that get a resurgence from June 4 to June 7. To start with, it's the breezy, romantic Les Rendezvous. Coquettish couples fraternise in the park until sunset in pastel spotty 1950s dresses and boater straw hats. Their footwork is as light and easy as the Daniel Auber music on your ear. With a mix of virtuoso skills thrown through wonderful solos, pas de deux and ensemble dances, it's a traditional crowd-pleasing appetiser for this three course meal. But the main dish of the day is about to be served - Dante Sonata. A heavyweight in terms of content and music, it is a piece of dance that is frenetic and unnerving at the same time as being passionate and beautiful. It opens with fragile 'children of light' in white nighties and the like facing their evil opposite numbers or 'children of darkness' as a pianist provides a haunting soundtrack by Franz Liszt. It feels fresh and windswept as free-flowing hair is whipped around through repeated wild yet controlled twirls of the dancers, including a fabulous Elisha Willis. Inspired by Dante's Divine Comedy, some of the scenes are choreographed to pause at peak moments, so it is like looking at a painting for a small moment in time. Visually, it is immensely striking and memorable. To lighten the mood, the final part of the night belongs to Facade. This section has an air of the Gene Kelly and Cyd Charisse 1950s movie musicals about it. 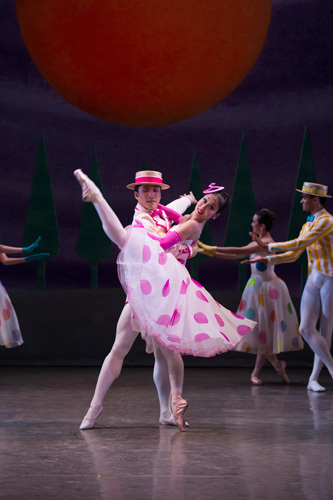 An array of quirky, lovable characters are introduced who combine comedy into their dance movements. Among them is a saucy milkmaid cavorting with three suitors, a flirty corsetted lady, some flappers and their dapper beaus, and a pair of dashing stiff upper lip gents in striped suits and boater hats. 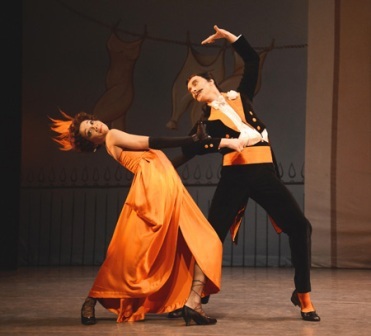 But the scene-stealers are Rory Mackay and Celine Gittens as the ridiculous tango couple. She's a slightly inebriated lush and he's got twitching fingers that run up and down her back like he's playing a piano. It's all fantastic fun, so much so that the detailed dancing almost goes unnoticed. The whole show of contrasting dances is a worthy memory to a great British choreographer. It's an unmissable trio of delights. The performance is around 2 hrs with two intervals. Tickets start at £10 and are available from Birmingham Hippodrome website.